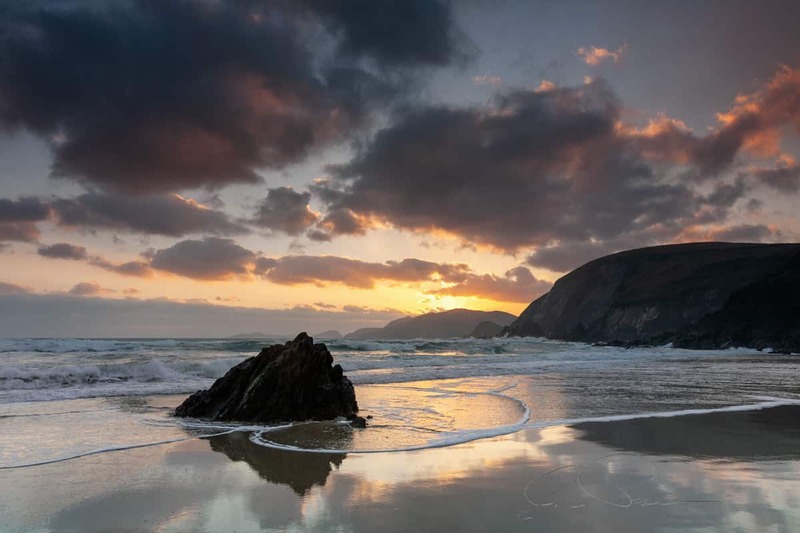 We depart Dingle in the early evening and tour along the Slea Head Drive, visiting all the iconic locations along this stretch of The Wild Atlantic Way. Depending on the sea conditions, tides and the time of the year, we’ll choose a couple of locations along the shoreline to explore low light and long exposure photography, hopefully finishing up at sunset and dusk with some colour in the sky. 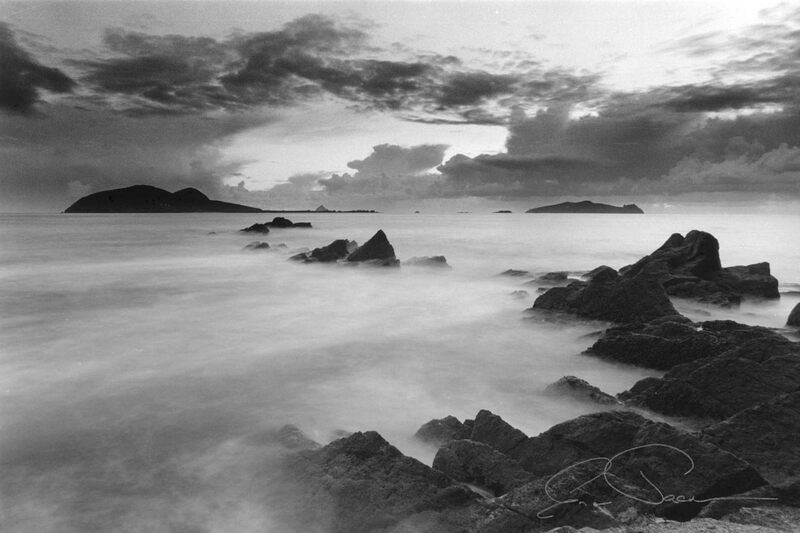 A photography tour that can run any day from November to March, that begins at the very first glimpse of dawn over a choice of great locations along the southern edge of the Dingle Peninsula. 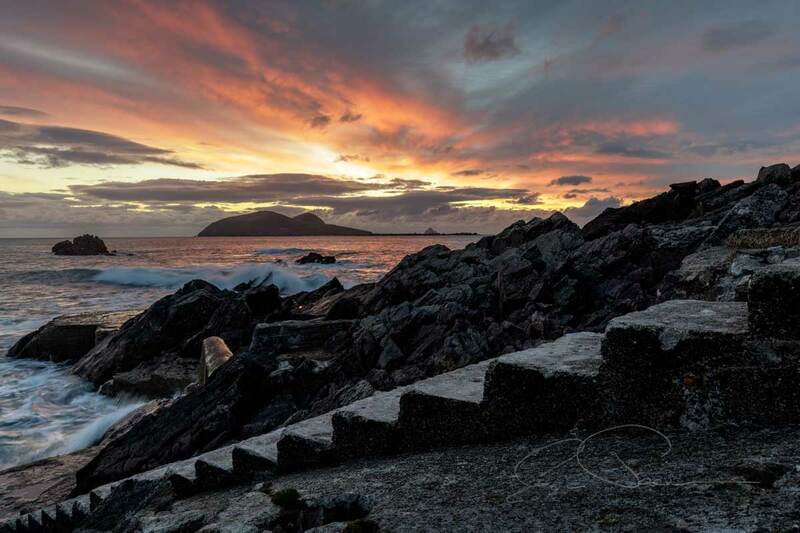 We finish in the west at dusk along the Slea Head Drive, visiting the iconic areas on the coastline around Coumeenoole and Dunquin with the Blasket Islands filling the horizon, hopefully under fantastic skies. If you prefer a later start following breakfast, check out our Winter Light Tour. We can collect you from your accommodation around Dingle or alternatively meet in Dingle approximately 4 hours before sunset. Touring along the Slea Head Drive we’ll visit the ionic locations of Coumeenoole, Dunquin and Clogher as well as dropping into a couple of lesser visited spots along the coastline. We’ll finally settle into one or two of these locations for the remainder of the evening as we explore long exposure and low light photography, as well as the use of filters, tripods and if you’re using a phone, a few creative apps. We’ll generally be arriving back in Dingle around ½ hour following sunset and dusk. If you prefer, this evening can be a “mini” beginners or intermediate workshop with less emphasis on just the low light & long exposure aspects of photography, although we probably won’t get to cover everything completely as we would during our day beginners workshops . To facilitate this workshop, we carry a selection of filters including both ND & Graduated ND that will fit most cameras that have a filter thread on the lens, so it’s a superb opportunity to experiment using them if you’ve not done so before. We also carry a few basic tripods that can be used for the evening. A cable or remote release is an advantage although it’s possible to use your camera’s self-timer. This workshop is best suited to a DSLR Mirrorless or a phone that you have some control over the settings. If you’re more interested in touring and just snapping away, see our Magic Hours Tour which covers the same great locations and includes tuition and tips on ways you can improve your general photography. You choose the size of your group, from 1 to a maximum of 5 participants is recommended and our discount rates apply to groups with 2 participants or more. A group of 5 participants comes to €45 per person when you take advantage of our excellent group rates. All locations are easily accessible from the minibus following paths and level ground with no serious walking or climbing involved.